If you are a fellow Pinterest addict like myself, you know how helpful the site can be to find everything from workouts to DIY projects to recipes. Pinterest is also a great resource to use when planning trips. You can find the best restaurants, hotels and tours for any location throughout the world. Too often however, these lists include too much information. Lists often have so many attractions, its hard to weed through all options. 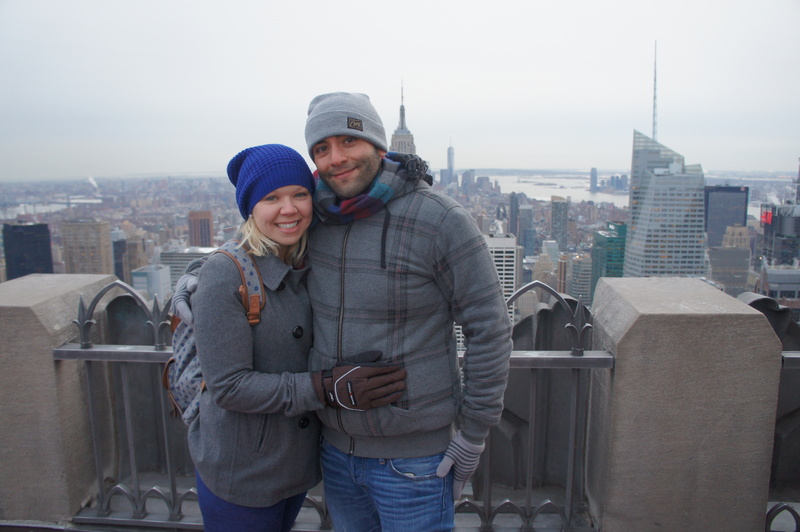 When planning our visit to New York in February I definitely felt overwhelmed when it came to researching where we had to visit and where was worth skipping. While some people only have a couple of hours to spend in the Big Apple, others have a couple days. 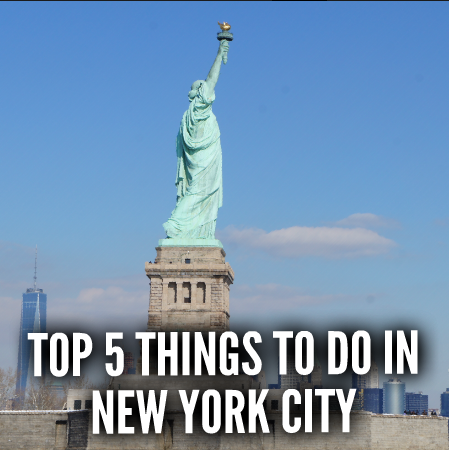 This list will give you my top 5 that you must see before leaving New York City. All 5 attractions could be packed into one day or spread out over a longer trip. 1) Top of the Rock/ Rockefeller Center Everyone thinks of the Empire State Building as the place in New York City to see the best views. There is a reason it is an iconic spot in romantic comedies but the real gem where Mindy Lahiri should have wanted to find true love is Top of the Rock in the Rockefeller Center. Not only are the lines much easier to manage and the location more ideal due to additional attractions for visitors but the views are amazing. A quick and fun elevator ride will take you to the main level. From there you can take pictures from inside and out or take an elevator up to additional levels. There are many levels with great views of Central Park, the Hudson River and the New York skyline. The top level however is the prime spot to be where no glass is in front of you which will give you a picture that will make all of your Instagram followers jealous. 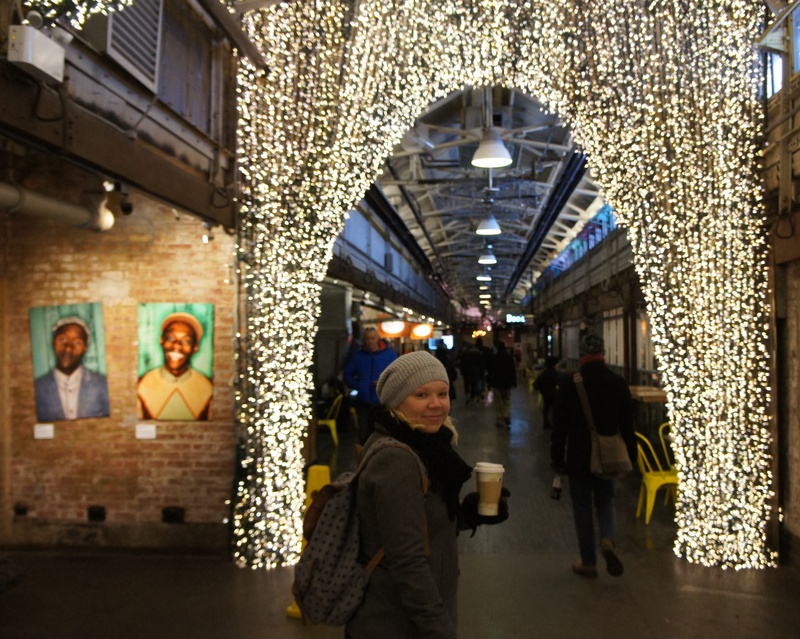 2) Chelsea Market We took a walking tour which started in front of the market and we knew as soon as the tour was done we had to come back. I strongly feel that Chelsea Market is one of New York’s most underrated attractions. You could easily get lost in the market for hours. The market houses unique eateries and eclectic shops. The location is right in the center of many great spots within walking distance including the popular High Line and Meatpacking District. It is worth it to have a meal at one of the many restaurants offered. We ate fresh fish from the Lobster Roll which also boasts an impressive fish market. 3) 9/11 Tribute/ September 11th Memorial & Museum Words cannot and will not do justice to the goose bump inducing, thought provoking, bone chilling Tribute & Museum. Every single part is worth spending time at. We had set aside a few hours to visit all 3 spots but ended up taking much more time at each. Every person who walked out of the Tribute and Museum had a face of pure awe in how the fallen were respected. I highly recommend seeing all aspects but if you do not have time, make sure to visit the Memorial to honor all those who lost their lives in the attacks. 4) The Metropolitation Museum of Art You would need days upon days to visit all the museums in New York but my personal top choice is the Met. With the large amount of collections and artwork at the Met, you could come back multiple times and still see new pieces every time. 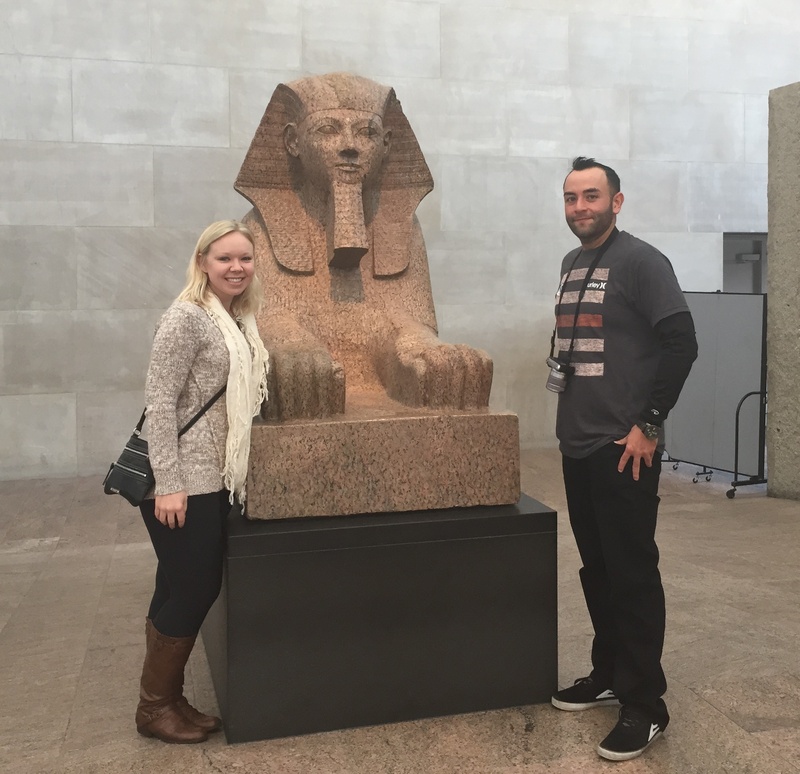 The Egyptian Temple of Dendur was one of my top highlights from the museum. If you are strapped for time make sure you grab a map and pick which collections you must see. Have a little more time? Enjoy all the wonderful exhibits the museum has to offer. The location of the Met also makes walking through Central Park the perfect way to get to the museum entrance. If you have the time, make sure to grab a snack or meal from the American Wing Café. The views of Central Park are worth taking some time from your museum trip. 5) Roosevelt Island Tram Another very underrated attraction in New York. At the bottom of the Brooklyn Bridge you can take the tram to Roosevelt Island for the price of a subway ride. The tram goes out and back every 15 minutes. Since this is used by residents of Roosevelt Island as transportation, it’s best to avoid the tram during typical rush hours. We enjoyed the tram after the sunset which provided a different view of the New York skyline. You also get the same views you would from the Brooklyn Bridge without having to walk across. For visiting in the winter, this was definitely the warmer option. Of course I could write for days about all the amazing places that you can visit New York. These however are my top 5 after spending a week in the city. Overall, New York has a lot to offer new and returning visitors. Food is the main attraction in New York so make sure you eat your weight in food. Vacation is one of the best times to eat what is local to where you are visiting. Take a walk or run through the city to burn calories and enjoy the fact that walking is the norm. 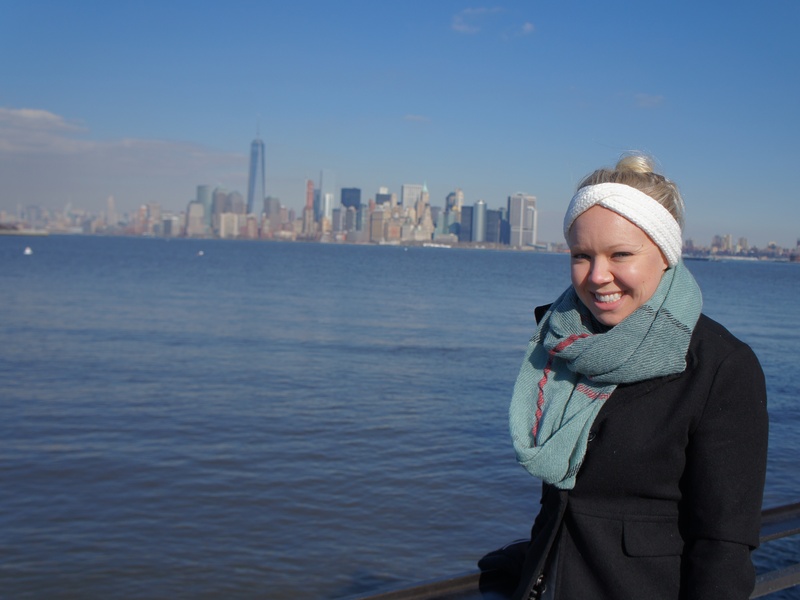 I’ve only traveled to New York once and never really had the urge to go back again. You’ve convinced me otherwise. Loved it!! What month did you travel to NY?